Is there any accurate map for the Silk Route and is it still practicable? I've found some maps that shows the overland route that was used to trade between Europe and Asia, but I haven't found a map accurate enough to plan a trip following the ancient route. but has no link to the source or to a detailed map. The question is: Is there any accurate map or description that allows one to draw up a plan to make a trip following the Silk Route? This past summer I followed quite a bit of it through Central Asia, in areas which I'd consider to be moderately difficult to navigate - like Uzbekistan. Wikitravel shows more information on the Silk Road, and it's worth noting there are several branches of it, depending on whether you go through the deserts, or through Afghanistan. Individual links on that page, will give you details about how to reach each city. 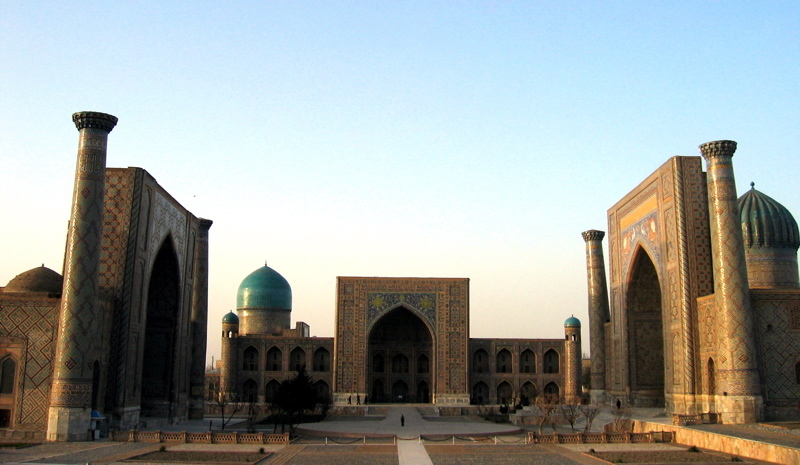 For me, Uzbekistan is a hidden jewel - most people can't even name it as a country, and yet Khiva, Bukhara and Samarkand are among some of the most impressive historic cities I've ever seen. The problem with what you're trying to find is that there is no ONE Silk Road. Even when travelling between two cities, people might detour when a river is in flood, or to feed animals, or to avoid a known criminal hotspot. So there are in some ways thousands of potential deviations - only the rough directional heading between cities will be shown on most maps. Indeed, according to Wikipedia, there were even maritime routes! You may also consider this more detailed list of cities commonly accepted as being along the various Silk road routes. Map included on page. Jim Rogers, the so-called Investment Biker (and author of the book of the same name), seemed to think that the Silk Road was navigable. He didn't seem sure as to exactly where it was, but took his (former) girlfriend over (a known) part of it on a motorcycle, then they headed north to harsher points north and east in Siberia. My guess is that if someone provided him with a good map, he (or somewhat like him) could follow it. As Mark Mayo points out, there is no one Silk Road. There were plenty, not even taking into account different routes from city to city. Moving from east to west, or vice versa, there are plenty of cities that could be visited, though visiting some would make it highly impractical to visit others. For example, some travelers would go north of the Caspian, some would go south. And with different cities and regions providing different specialties, sometimes it would make sense to visit the one, not the other. So, one could argue that if you travel from south eastern Europe to anywhere between Ulaan Baatar and Hong Kong, overland, you'd be sticking to (some version of) the ancient Silk Road. Not the answer you're looking for? Browse other questions tagged europe routes asia around-the-world silk-road or ask your own question. Are there detailed street-by-street maps of the 2012 Olympics torch relay? 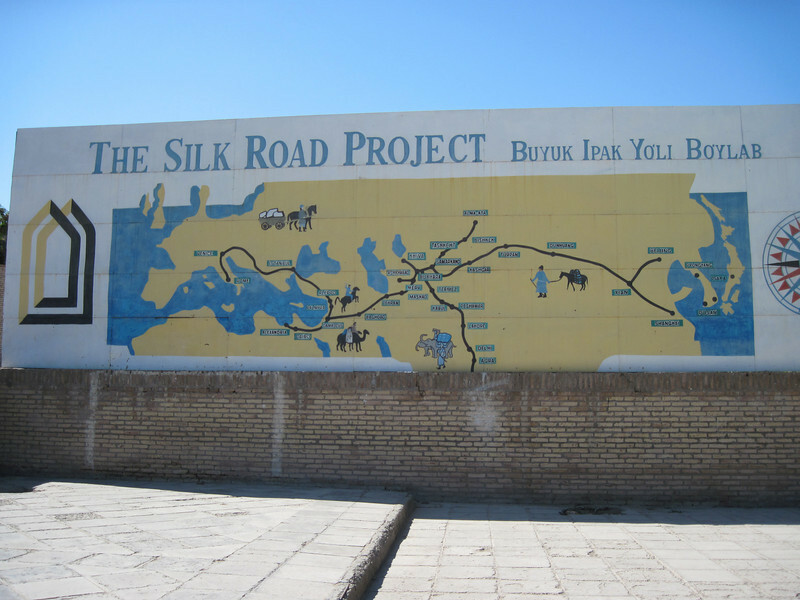 Can you safely travel the silk route? How to find the route map of a given airline?